My 8-channel electroacoustic work A bit closer to home was selected by Darren Copeland to take part in a one week residency at the University of Limerick in conjunction with NAISA ( New Adventures in Sound Art), http://naisa.ca/ and ISSTA (Irish Sound Science Technology Association), www.issta.ie. During the residency (2-10 March 2015). I had the opportunity to work with Darren Copeland exploring live spatialisation techniques within my own composition and using SpADE, The Spatialization and Auditory Display Environment hosted by DMARC at the University of Limerick. 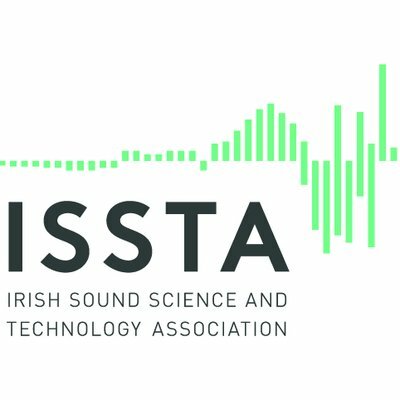 "This one week training workshop, which is being organised with the Irish Sound, Science and Technology Association (ISSTA), will be taught by the composer and sound artist Darren Copeland. Copeland is the director of the organisation New Adventures in Sound Art (Naisa). The purpose of the workshop is to educate artists on methodologies for live spatialization using the artists' works as a basis for exploration and learning. The participants will train in the use of a performer-driven system, which revolves around a performer operating a hand-worn sensor (the Polhemus Patriot 6D sensor) mapped to a customized Max/MSP spatialization patch designed by Benjamin Thigpen. This is worn on a performer's hand in order to control or influence the movement of sounds among an array of loudspeakers. They will research new strategies for diffusing electroacoustic sound art in performances and learn to adapt to the physical actions necessary for spatialization (or diffusion) where there is a higher degree of correlation between physical action and sound localization." This residency was followed by a concert on the 9th March 2015 featuring works by myself, Aidan Deery, Slavek Kwi. Fergus Kelly and Canadian composers.